The newly developed D-ILA device, with a pixel pitch of 3.8 μm, occupies an area that is 31% smaller compared to previous devices*2. 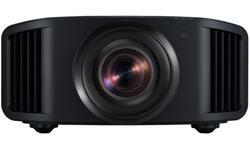 The native 4K device for projection is the smallest in the world at 0.69”, and allows the projector to achieve a high-definition display at 4K resolution (4096 × 2160 pixels). 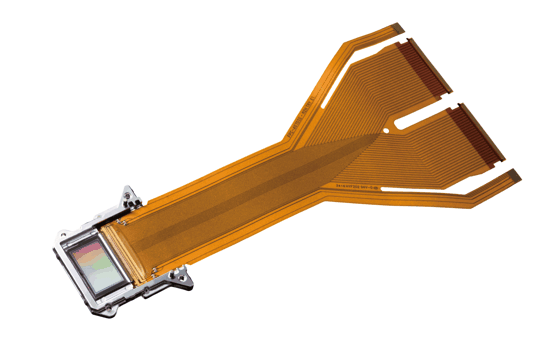 Furthermore, vertical orientation and planarization technologies reduce defects such as light scattering and diffraction, enhancing contrast. The result is a smooth, high-definition image free of visible pixelation, even when projecting on large screens. 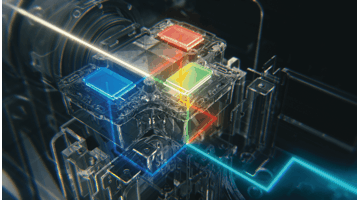 HDR (high dynamic range) content, such as that available on UHD Blu-ray Discs, offers an extended brightness range, 10-bit gradation and a wide BT.2020 colour gamut. 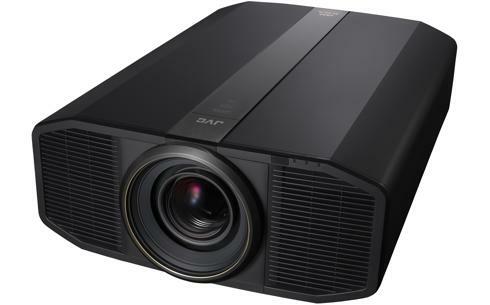 With its high contrast ratio, 80% BT.2020 coverage, dynamic light source control, and a peak brightness of 3,000 lm, the projector offers optimal reproduction of HDR content. 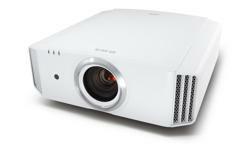 Moreover, in addition to HDR picture modes that are easy to set up when viewing HDR content, the projector also offers support for Hybrid Log-Gamma, a new technology that is expected to be used widely in future broadcasting. 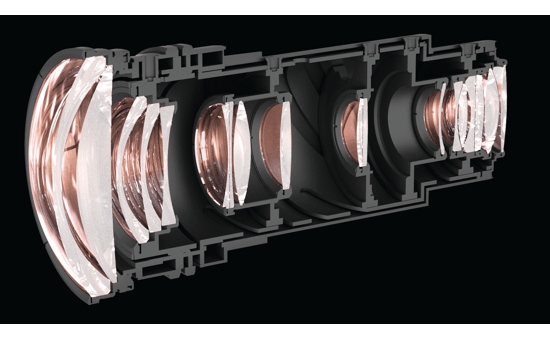 In conjunction with the new 4K D-ILA device, a new 18-element, 16-group all-glass lens with a full aluminium lens barrel was also designed. 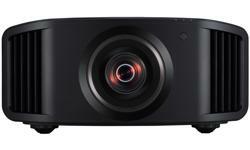 A new 100 mm diameter lens is used to project 4K-resolution images to every corner of the screen. 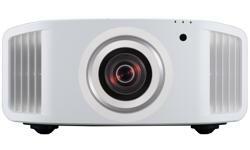 This compares to the 65 mm diameter used in other projectors*1. 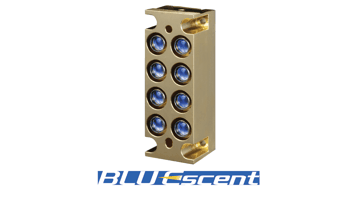 The new lens offers an expanded lens shift of ±100% vertically and ±43% horizontally*2. 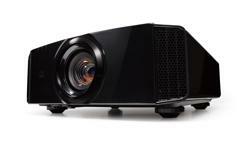 In addition, by adopting five ED lenses that take into account differences in R/G/B refractive index, the projector is able to reduce chromatic aberration and colour fringing to deliver a precise reproduction of 4K-resolution images. *1 Based on a comparison with the DLA-X9000 manufactured by JVC. *2 When projection aspect ratio is 16:9. 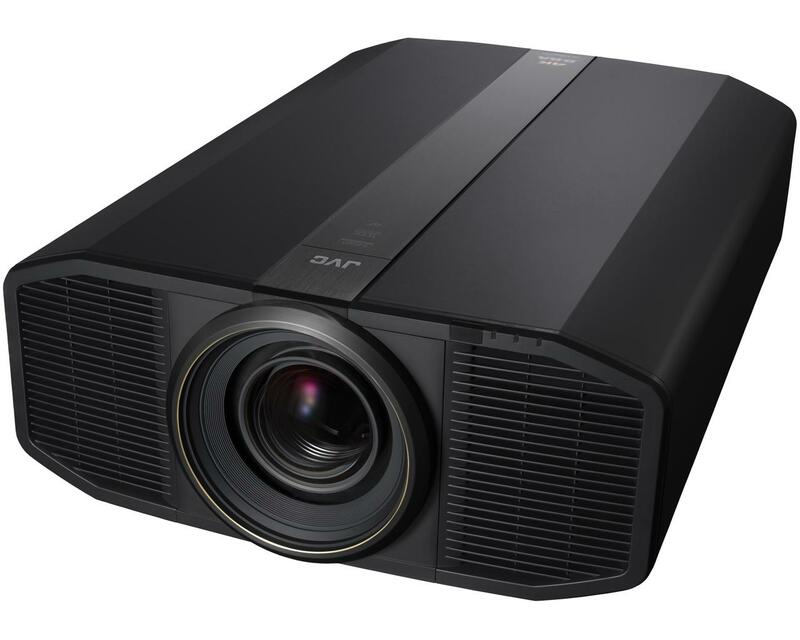 Through use of its laser light source and a new cinema filter, the projector achieves 100% coverage of the DCI-P3 display range used in film production. 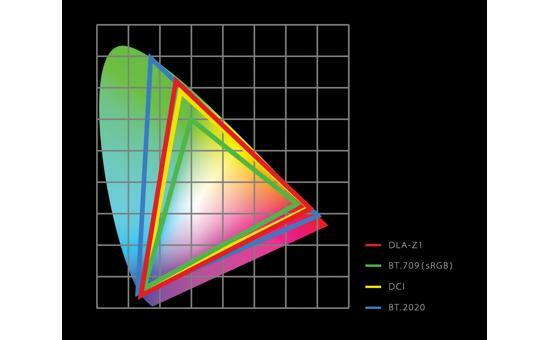 The unit furthermore achieves a minimum 80% coverage of the BT.2020 colour range, used for UHD Blu-ray Discs and 4K and 8K broadcasting. These technologies allow for more accurate reproduction of the natural gradations in images of the sky and the sea, which has presented difficulties in the past. Also improved are differences in the colour contrast between subjects such as flowers of a deep crimson or rose colour, or the different shades of green on tree leaves.